Hello and welcome back to the bloooooog!! After a VERY long hiatus (soz guys please don't hate me) I'm back, with a snazzy new layout. I felt the ole gal needed some serious sprucing up. She was looking a little lack luster and dated. Working full time AND doing all my own coding means that the process was a lengthy one, so thank you all for sticking with me! I figured the best way to come back with a bang was to do THE most requested series ever - my guide to Dublin. Over the next year I'll be putting out guides for food, drink, day trips, parks, museums - you name it! But to start, I've gotta do the thing I'm asked the most about - traditional Irish pubs. Now, when I say traditional, I'm talking about a very specific breed of pub. In order to qualify for the name, they must have a few similar attributes - first, they look and smell like they've been around forever - because they have. Usually fifty to a hundred years or so. It's dark and way too warm when you walk in. You see equal amounts of tourists and old men wearing paddy caps while scanning the room. There's TONS of weird old historical stuff on the wall. There might be a jolly dude playing music in the corner. There are no fruity cocktails to be found on their tattered menus - just stout, whiskey, cider, tea, a couple sodas, and occasionally some delicious heart clogging Irish food. 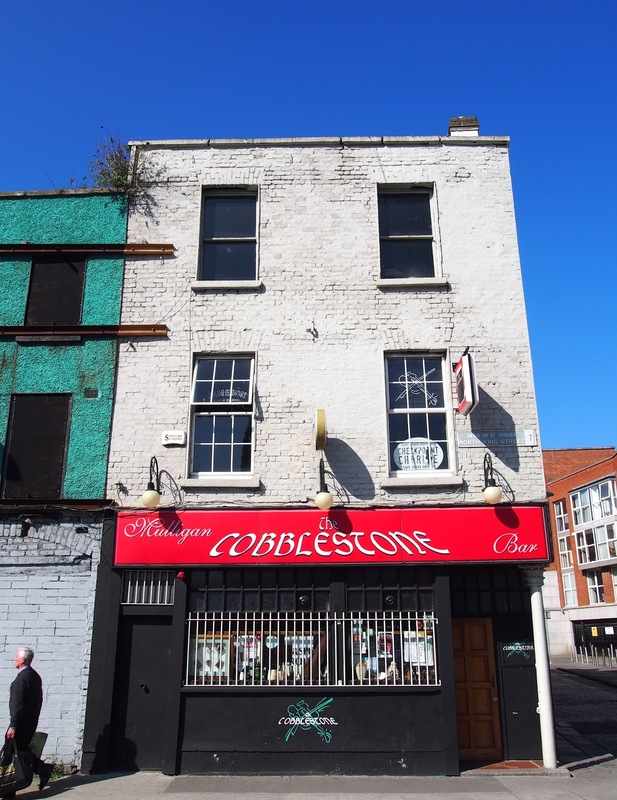 Now, a little disclaimer - there are HUNDREDS of pubs in Dublin (751 to be exact) so narrowing them down is virtually impossible, especially since Dublin has a 71 mile radius! So this list is tourist friendly, meaning they are all in the city center and walkable from most city center hotels and hostels. None of these pubs charge up the arse for a pint, and *none* are located in the overpriced, touristy Temple Bar. Enjoy! & let me know if you have a favorite Dublin pub! Sheehan's was the very first pub I went to when I came to Dublin, and remains a firm favorite to this day for one particular reason - the food. Sweet baby Jesus this place has some DELICIOUS grub. The Guinness pie is one of the best meals I've had in Dublin - and I don't say that lightly. No music, but the atmosphere is cozy and happy. Sheehan's is always crowded yet I've never had a problem getting a table - weird, but I'm not going to question it! 5 stars because of the pie and the happy nostalgia it brings me. This pub has been around for 250 years so it has a truly special, comforting energy when you walk in. It's small so it feels cozy and makes a great place to duck into when it's dreary outside. Fun fact, Bruce Springsteen comes to the Long Hall every time he's in town & you know if the boss likes it then it has to be good. 4 stars because it has no music AND no food, but if you're a Guinness fan this place pours one of the best pints in all of Dublin! Just beware - this pub is popular and can get VERY crowded in the evening. 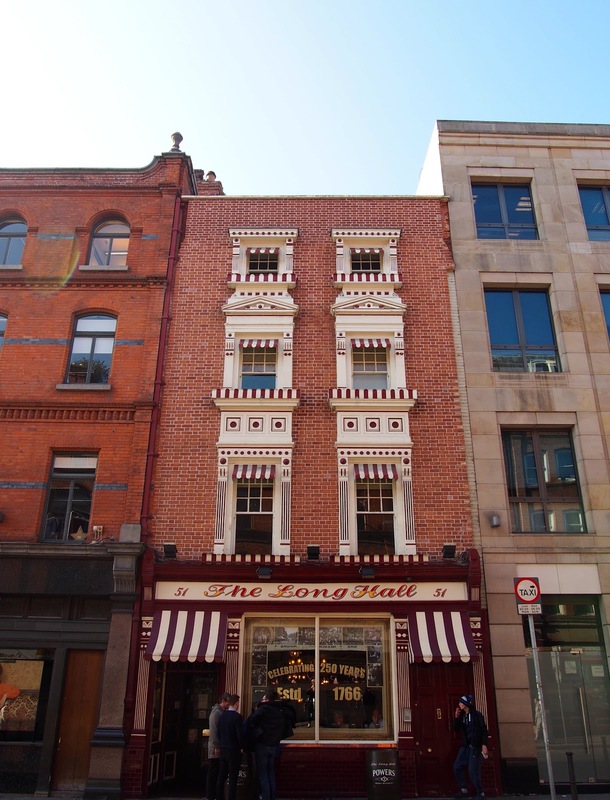 So this pub is a liitttle farther out of the heart of the city than the others, but a great place to pop into if you've just been to the Guinness Factory or Jameson Distillery as it's a quick walk away! The exterior isn't the nicest, and truthfully the interior could use a sprucing, but this place made my list because it is by far the best place to hear traditional Irish music in the entirety of the city. Every night you'll find Dublin's best settled in a corner spitting out the tunes. It's a genuine Dublin experience and for that, I love this place. 3 stars because it looks janky as all hell (but I promise it isn't!) and doesn't serve food. 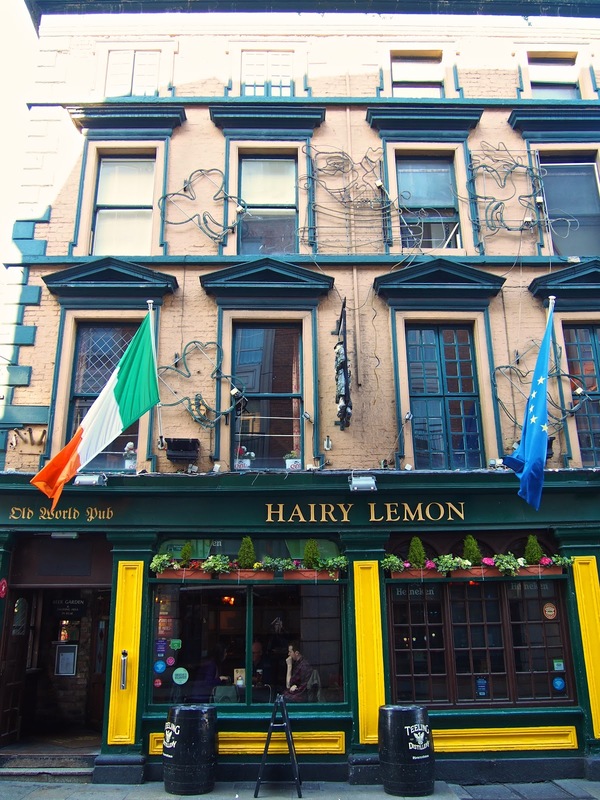 If someone asked me what a quintessential Dublin pub was, I would say the Hairy Lemon. It fits the bill in every way. They have live music every Sunday night, they show ALL the good sports games on their multiple TVs (this place will be insanely crowded during a match but with incredible energy), they serve some CRACKIN' food (they even have a restaurant attached to the pub) and have the chillest attitude. One day my friend and I took our laptops here and had them plugged in to their outlets working for HOURS while we were served gourmet seafood. After we were done eating we both wanted Oreos and milk, so we went to a shop and got some, came back to work at the pub and they happily gave us empty glasses for our milk. Some grade A people up in this joint. 5 stars for the food, music, vibes, and people. 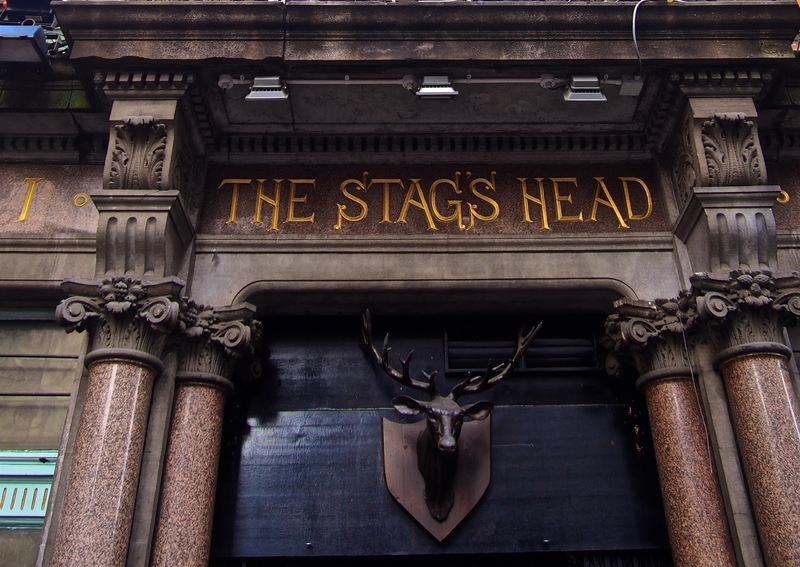 Truth be told, I haven't spent too much time at the Stag's Head because it is always crowded, but any time I do go and manage to get a table it's a good time. The interior is quirky yet stylish and their food & drinks aren't too expensive, but the best part of this pub is their entertainment. Live music every weekend, ukelele night every Tuesday (so random) and a REALLY great comedy show every Sunday - Tuesday night with free ice cream! Haaay! Last year they won 'best traditional pub in Ireland' so I mean, it's worth a visit just for that!